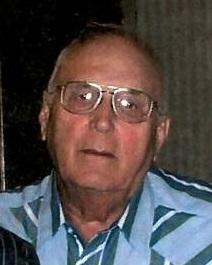 Harold Richard Kral, age 85, of Corcoran passed away on Monday, February 4, 2019 at Bickford Assisted Living of Champlin. He was born on July 3rd, 1933 at his home in Hopkins the son of Joseph & Mary (Cherveny) Kral. He was the second of eleven children. The Kral family moved to Corcoran when Harold was ten years old. He worked on the family farm until they quit milking cows. He then went to work as a carpenter. He later worked for Viking Pallet until his retirement. Harold met the love of his life in high school. On October 29, 1955, Harold R. Kral and Dorothy A. Waschek were joined in holy marriage at St. Peter & Paul Catholic Church in Loretto and were married for over sixty-two years. They lived their entire married life in Corcoran. Harold had a love for airplanes. He owned 27 planes over the years and received honors for his Flying Time Log for Private Aircraft. His first love was flying, but he also enjoyed gardening, cutting the grass, tinkering in his shop and helping Dorothy with canning. He was an avid fisherman & camper and loved to spend lots of time at Arnold and Phyllis Kral’s lake place. Harold is preceded in death by his wife Dorothy, his parents Joseph and Mary, brothers Joseph Kral Jr., Donald Kral, sisters, Delores Bevins and Patricia Kral, infant twin sister to Percilla; sisters-in-law Elaine (Mrs. Joseph Kral), Elaine (Mrs. Archie Kral) and Margie Kral Marsyla (Mrs Donald Kral). He is survived by his siblings Marie Manthei, Archie Kral, Darlene Behr, Percilla (Ronald) Braunberger, Carol (Gary) Valenta, Arnold (Phyllis) Kral, Elaine (John) Anderson; brothers-in-law: James Bevins, Kenneth (Susan) Waschek; sister-in-law: Eleanor (Richard) Stark; Lyle Marsyla (Margie Marsyla’s second husband); many nephews, nieces, other relatives and friends. A Mass of Christian Burial for Harold Kral will be held on Saturday, February 16th, 2019 at 11:00 A.M. at St. Thomas the Apostle Catholic Church, 20000 County Highway #10, in Corcoran, Minnesota. Father Glen Jenson will be the Celebrant. A visitation will be held on Saturday, February 16th one hour prior to Mass at the church. Casket Bearers will be Daryl Kral, David Kral, Jeff Kral, Ryan Kral, Neil Braunberger and Jeff Stark. Arnold, sorry to hear of your dad passing.